Jordan Spieth defeated Tom Gillis on the second hole of a playoff to win the John Deere Classic. Now Spieth heads to The Open in search of his third consecutive major championship. A triple bogey for Bill Haas. Double bogeys for Andres Romero and Roberto Castro. They still wound up in a four-way tie for the lead Saturday in the AT&T National with James Driscoll, whose third round was pleasantly dull by comparison. Keegan Bradley overcame two early bogeys and maintained his lead at the Byron Nelson Championship with 2-under 68 in the third round Saturday. The PGA Tour announced Friday that 16 players will fill the spots on the Player Advisory Council for 2015. David Toms admits his initial idea for the weekend was to catch a little live college football action down in Baton Rouge, Louisiana, on Saturday night when Alabama faces his beloved LSU. 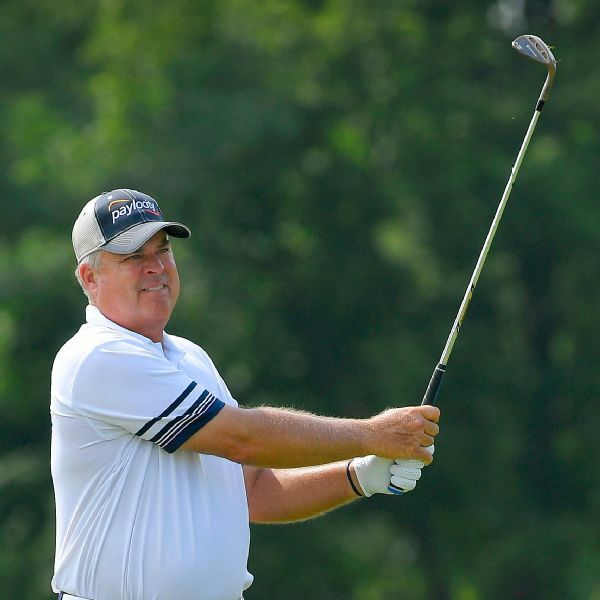 Looking to become just the second three-time winner of the 3M Championship, Kenny Perry shot a 12-under 60 on Saturday to carry a 5-stroke lead over Glen Day into Sunday's final round. Keegan Bradley again bogeyed Nos. 1 and 18 in the second round of the Byron Nelson Championship.